Book through Klook and skip the long queue with our free reservation service! Excellent! the staffs are super friendly and the food was so awesome, we will return! 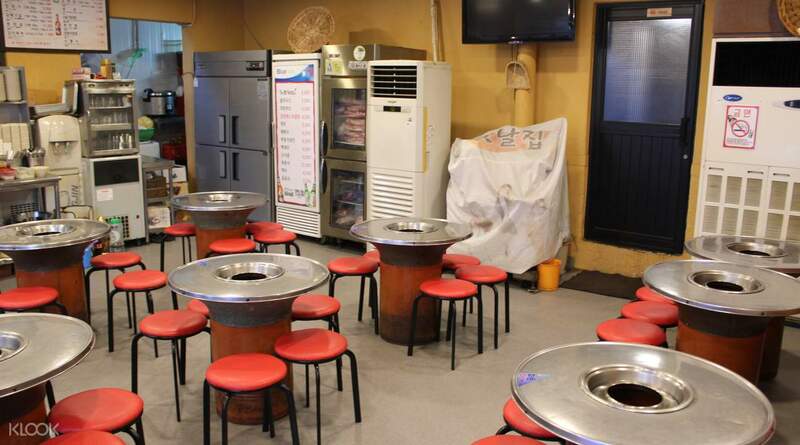 Join in on the Korean BBQ craze with a visit to Old House Charcoal Meat Restaurant in Hongdae, known for its delicious grilled meats. By using oak charcoal, this restaurant gives their various meat cuts distinctive earthy and smoky flavors that make them stand out from! 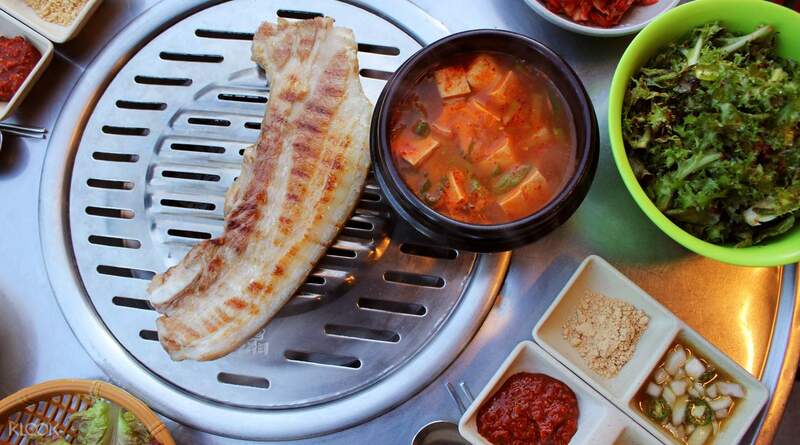 Choose from a selection of meat, including pork belly, pork ribs, and beef ribs, all juicy and grilled to perfection. 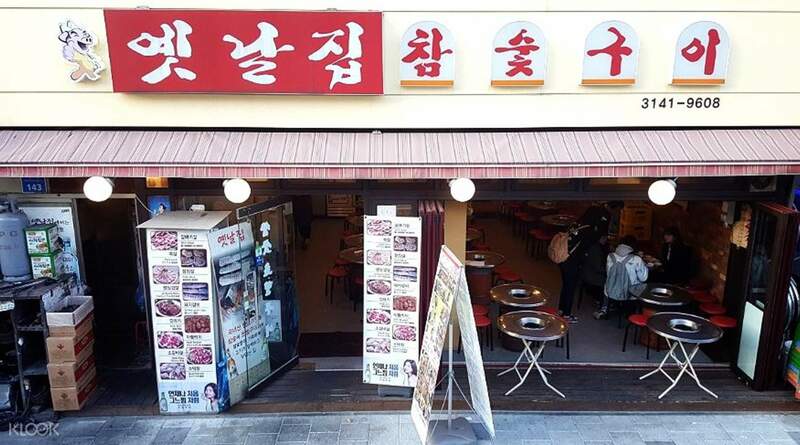 If you're still feeling hungry, Old House Charcoal Meat Restaurant also serves a generous amount of side dishes with every meal, such as soybean paste stew, pickled sesame leaves, and kimchi. You'll also be able to skip the hassle of scheduling your own reservations by booking your meals at the restaurant through Klook! Book now on Klook and get a hassle-free reservation to the restaurant! Table was all set when we arrived (30 minutes before our chosen time). Food was served promptly and they even provided a bag to contain our belongings to prevent them from stinking. Pork belly was juicy and fragrant. Soon after we arrived, it became full house! Really enjoyed the food and side dishes that came along with the set! Table was all set when we arrived (30 minutes before our chosen time). Food was served promptly and they even provided a bag to contain our belongings to prevent them from stinking. Pork belly was juicy and fragrant. Soon after we arrived, it became full house! Really enjoyed the food and side dishes that came along with the set! The staff were very kind! The food was great, wish we ordered more here in klook! This was all really hassle-free because of this platform! The staff were very kind! The food was great, wish we ordered more here in klook! This was all really hassle-free because of this platform! Delicious! Fast redemption. Restaurant is very considerate and will put ur winter jacket in plastic bag to avoid smoke smell. Free soy bean paste soup. Delicious! Fast redemption. Restaurant is very considerate and will put ur winter jacket in plastic bag to avoid smoke smell. Free soy bean paste soup. Great place for a Korean BBQ dinner. The pork was much better than the beef. Good value and good service. The place was a little difficult to find just based on the address. Great place for a Korean BBQ dinner. The pork was much better than the beef. Good value and good service. The place was a little difficult to find just based on the address. Best in Korean so far! My family and I all agreed that this is the best Korean BBQ restaurant. You'll need to walk quite a distance from Hongik University station. Best in Korean so far! My family and I all agreed that this is the best Korean BBQ restaurant. You'll need to walk quite a distance from Hongik University station. My husband and I really enjoyed it. 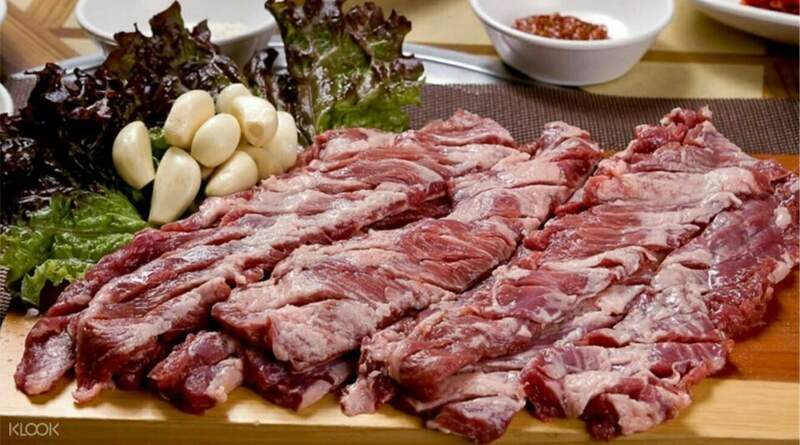 We order pork rib.They are so tender and juicy. I was tempted to order more but this amount is just right for us. My husband and I really enjoyed it. 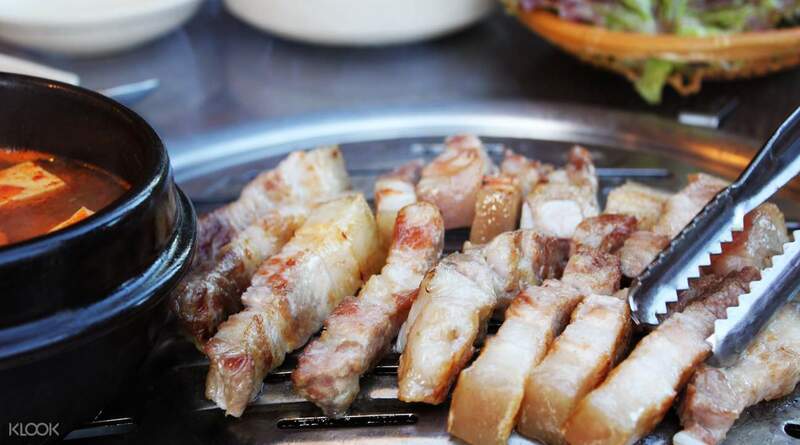 We order pork rib.They are so tender and juicy. I was tempted to order more but this amount is just right for us. You just have to show the voucher in exchange of the meal — or you can just say Klook, and they know what to do. Seamless! You just have to show the voucher in exchange of the meal — or you can just say Klook, and they know what to do. Seamless!